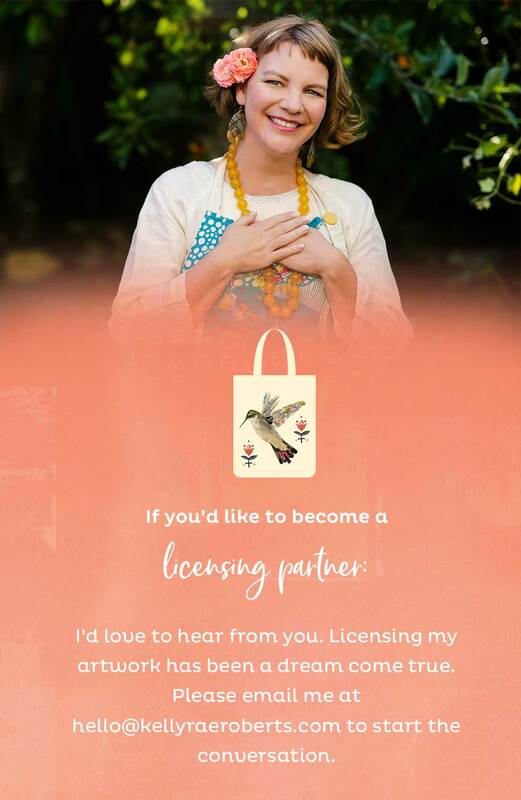 I’ve partnered with several remarkable companies to offer a variety of home and gift products that feature my artwork. If you’d like to place a wholesale order, please contact the companies below directly. I don’t personally wholesale these items. Many of these manufacturers have international distributors. Contact them directly for more information. 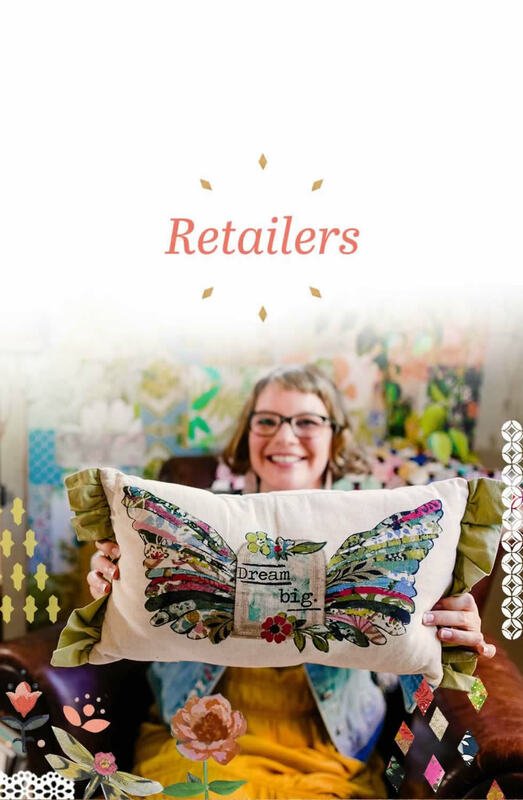 The Kelly Rae Roberts Collection™ with Demdaco features wall decor and all sorts of collectible gifts, including angel sculptures, gift books, and more. In 2019, I celebrated 10 years of partnership with Demdaco, which is a testament to how enduring and popular the products are. 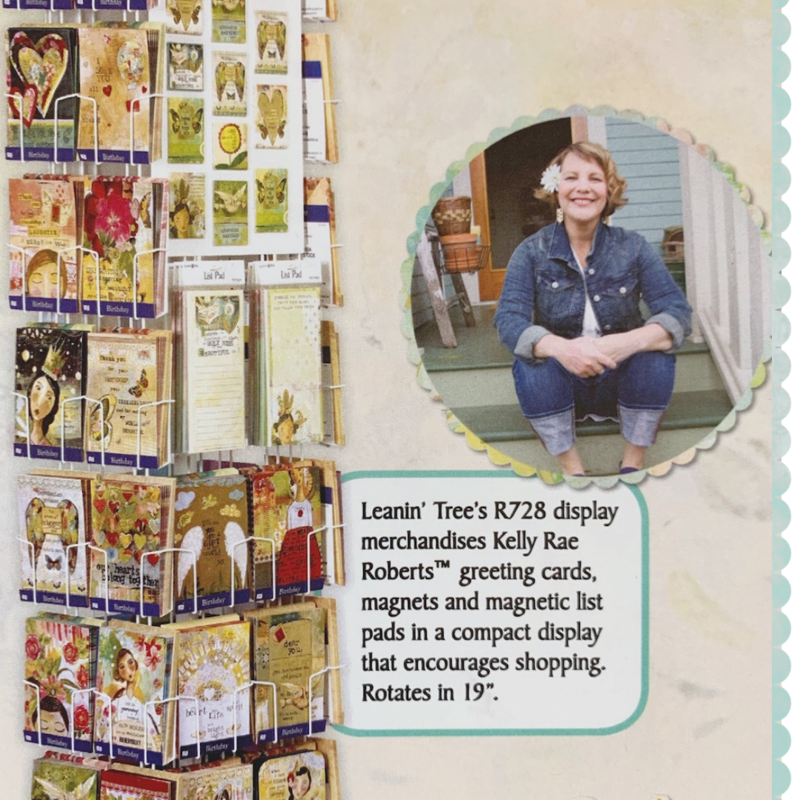 Launched in January 2019, my greeting card collection is manufactured by Leanin’ Tree in Boulder, CO. All cards are made with recycled paper and soy inks. The collection features my signature style with uplifting art and words, embellished with tip-ins, glitter, embossing, and premium paper. 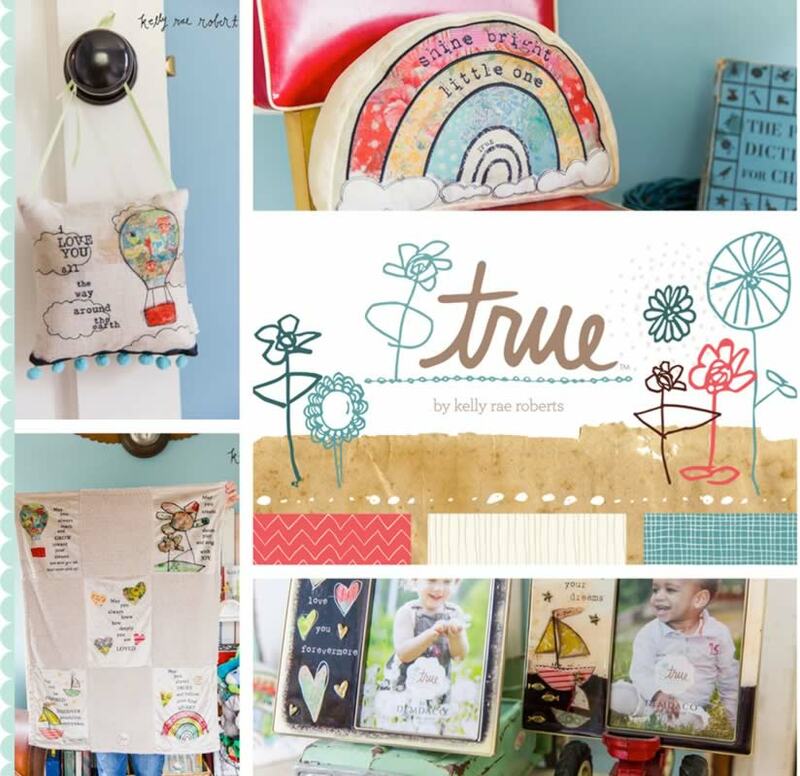 Launched in early 2017, True by Kelly Rae Roberts™ is an adorable product line for kids. Colorful, unique, and packed with meaning, these products celebrate kidhood and its vibrancy. 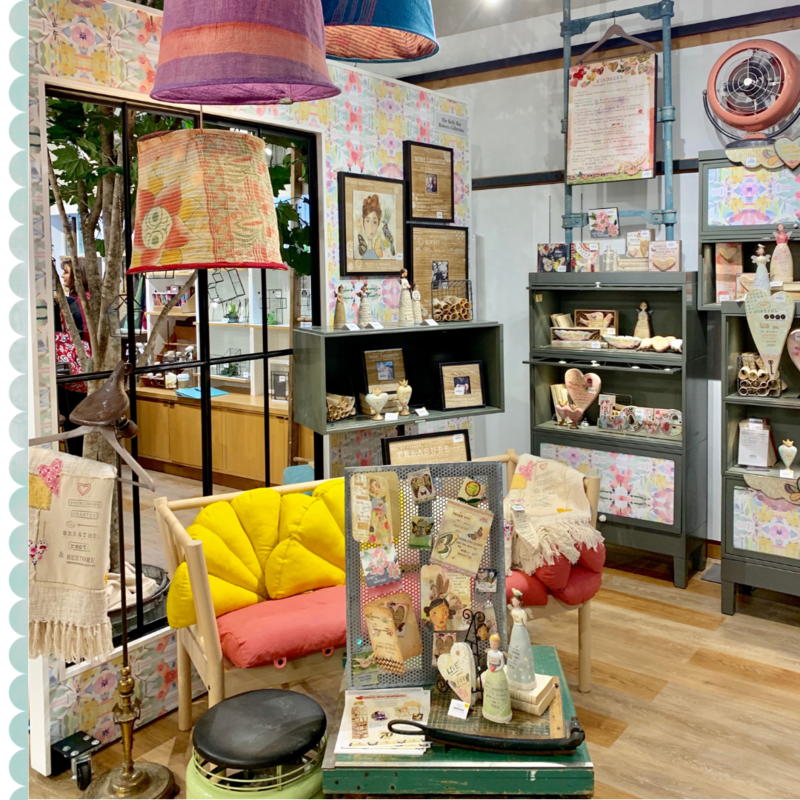 Favorites include the adorable hanging growth chart, the baby blanket, the baby soft book (a love letter to a child), the rainbow night light, sweet photo frames, and more. 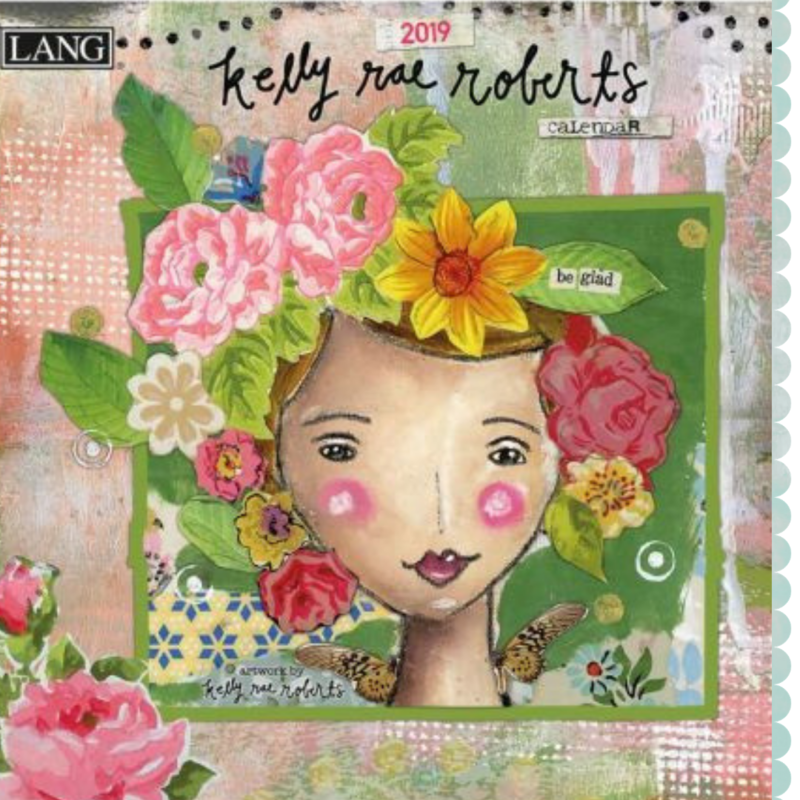 Known as a longstanding industry leader for the highest quality calendars on the market, I’m thrilled to partner with Lang for all of my calendars, day planners, journals, and several gift products, too. 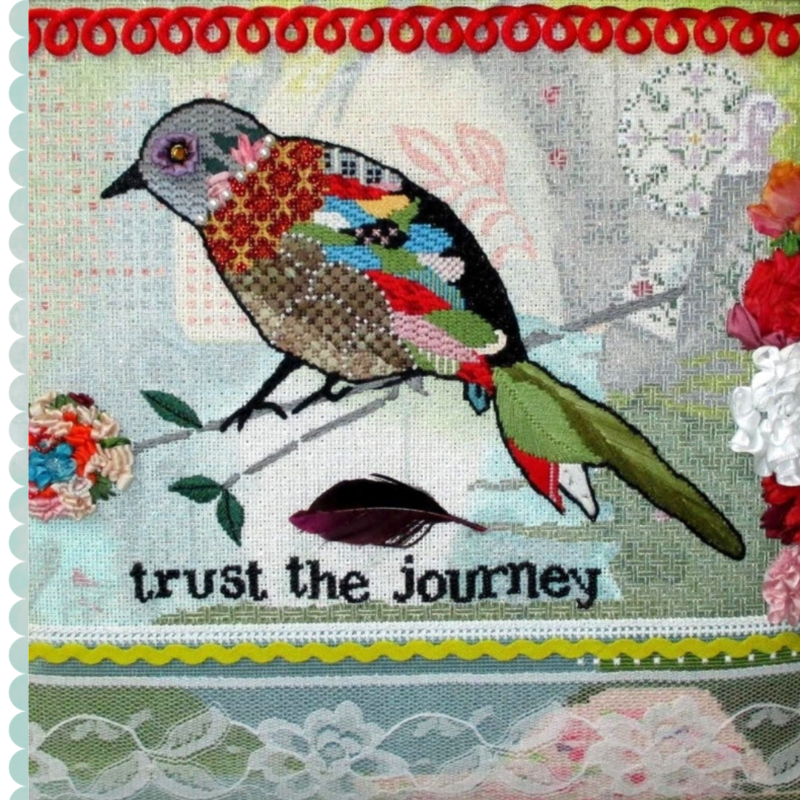 Tapestry Fair creates exquisite, individually hand-painted needlepoint canvases (on Zwiegart canvas) using my favorite artwork. Traditional crafts like needlepoint have long held a place in my heart, so it’s a wonderful thrill for me to see my work recreated in this intimate, inventive medium.